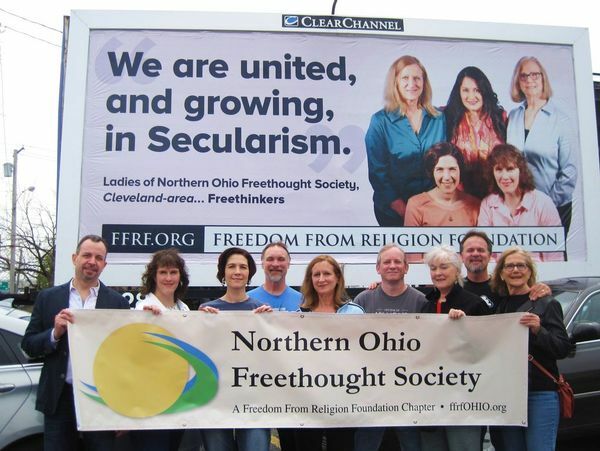 Our Northern Ohio "Out of the Closet" billboard campaign launched Monday, May 5, 2014! Thank you to everyone who participated - this was the first ever billboard campaign of its kind in this area, and the response was very positive! See what our members contributed in the Photo Gallery. Psst: we were also featured on the front page of the May/June 2014 edition of "Freethought Today" magazine, and two members were interviewed on Freethought Radio! The Richard Dawkins Foundation for Reason and Science Facebook page on May 10, 2014!